Illicit finance, high stakes crime and vicious manipulation come together in this story of corruption, greed and treachery among corporate India’s black sheep. 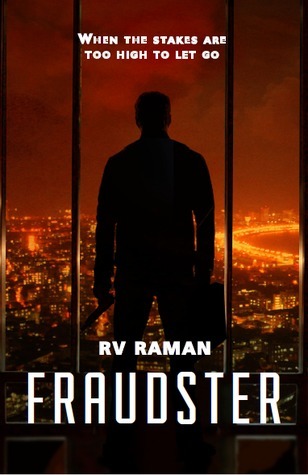 Arresting, fast-paced and written by an insider from the corporate world, Fraudster will keep you on your toes till the very end. The book is everything the blurb promises. It is fast paced, complex storyline dealing in the complex labyrinth of corporate banking and finance. The book exceeded my expectations. Three separate deaths, and one hacking attempt, that too in the first fifty pages! The book does an excellent job showcasing the polities and the inner workings of high end corporate India. There are parallel storylines that merge in the end, is what makes the book such an engaging read. The focus was more on the hacking part, than the murder part, which is better as the author’s experience working in the field, made it a better choice. What I really liked about this book was how simplistically the author weaved, not only an extremely complex storyline, but explained the inner workings and jargons of the banking and financial industry, without deviating from the plot, so that the readers know exactly what is happening and how important the data security is. I felt the book had a very ‘Jeffrey Archer; feel to it, with its high end intelligent story line. Yes, especially to those who love thrillers and mysteries. If you like authors like Dan Brown, Jeffrey Archer or Ken Follett, pick this book up, you will not be disappointed.